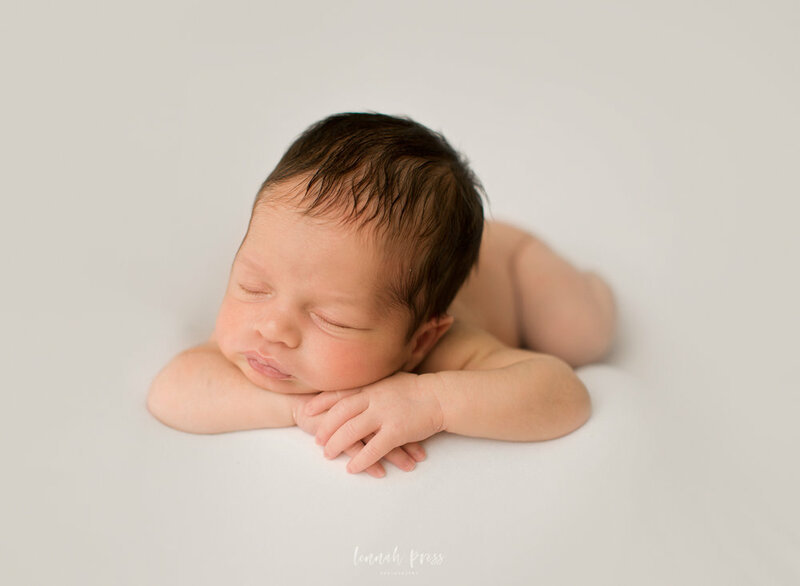 What's the Difference Between a Lifestyle Newborn Session and a Posed Newborn Session? 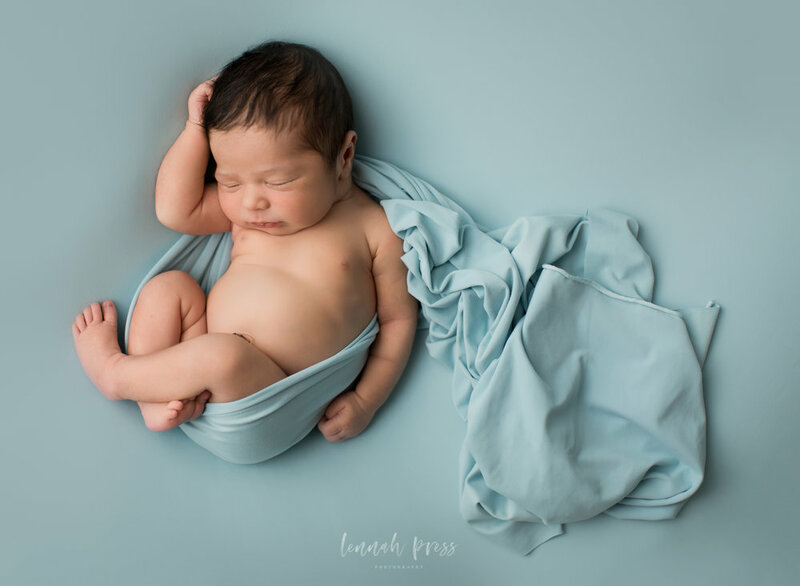 After receiving a few questions about the difference between a lifestyle newborn session and a posed session, I realized I haven't been very clear! Hopefully this post will shed some light on these types of sessions, and help you choose what is a better fit for you and your family. The word "posed" has much more to do with baby than it does with the family. While we do get lifestyle-inspired images of your family, a posed session is focused on timeless images of just your baby. 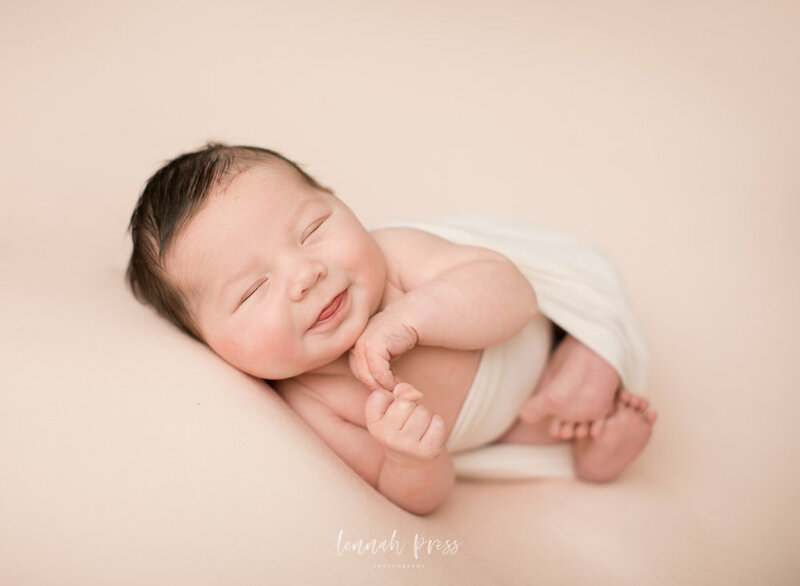 Posed sessions are the ones where it's best that baby be between 5 and 14 days old (but truthfully, I've had babies up to 25 days totally rock this kind of session). Since your newborn was up until very recently squished securely inside of mama, they are usually a) very amenable to posing in ways that show off their beautifully tiny features and b) sleepy enough to let me pose them. 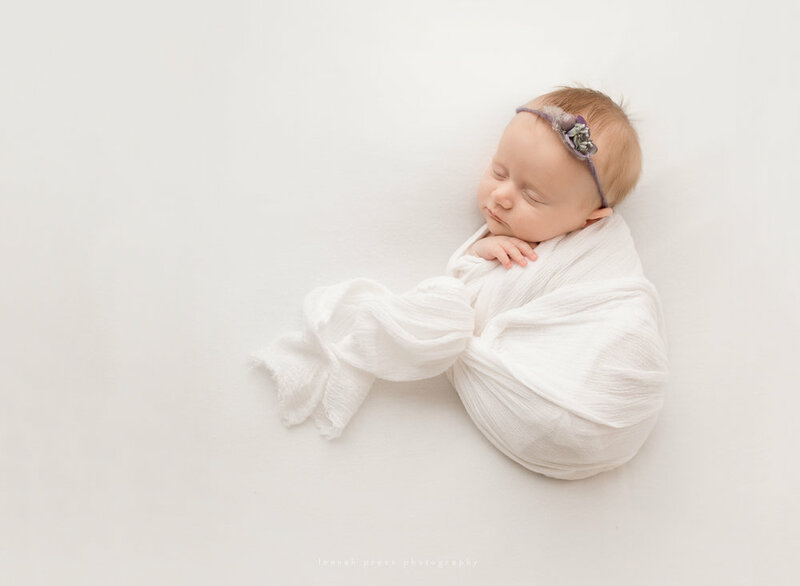 From a photographic standpoint, posed sessions tend to be somewhat challenging, as each baby is different and you never truly know what you are going to get. But I guess I like a challenge because I absolutely LOVE these sessions. 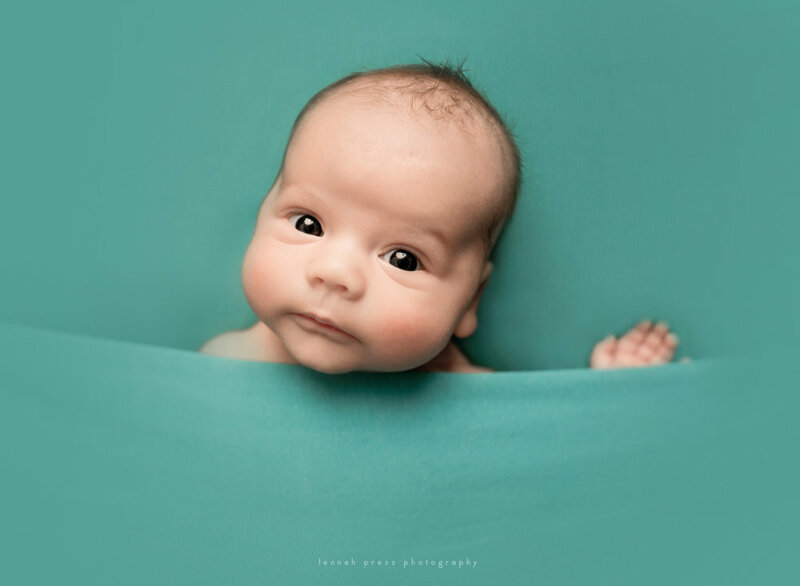 I look at these posed images as fine art, and feel so inspired with a blank/solid backdrop and your baby as the subject. Then there's mom and dad. I know that I wasn't looking or feeling 100% right after the births of my kiddos, and I don't generally display images in my home of me being a hot mess. The images that I have framed are posed shots of my children as teeny babies. And every time I look at those images, my heart is filled with love, rather than as a reminder of how sore, crampy, bloated and emotional I was. But everyone's birth story is different, you might have come out of labor a mother f-ing goddess. And if so, let's capture that! This is where things probably get a bit confusing. In the packages that I offer, most people go for lifestyle family shots and posed newborn shots (Classic Package). In most cases, we do family shots on the master bed, or elsewhere in the house. While I do pose you initially, what I'm looking for is more about your family's love and connection. If there are older siblings, we do a few shots of just them with the baby. If you'd like images of just mom/just dad/just mom and dad with the baby, we do that as well. With a posed session, I will essentially be moving into your house. I have a giant beanbag made especially for newborn photography that will confuse your husband and generally prompts questions on how I built it. I will set this bad boy up with a number of blankets to help achieve that solid colored, gradual fade backdrop. Then depending on baby, I will try a bunch of different poses, all of which are safe and meant to hide any private bits. 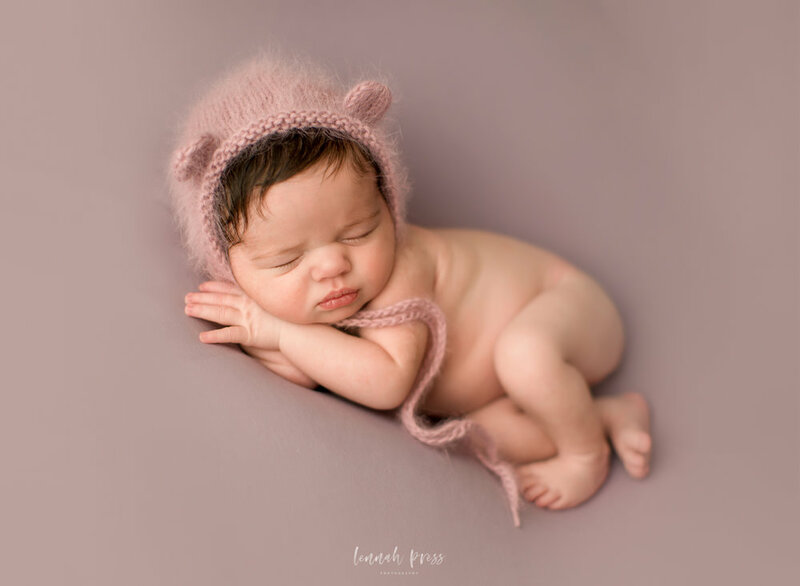 Even in a lifestyle session I will do some hands on posing, but I view this as a more photo journalistic and natural approach to your newborn. With a lifestyle session, I will bring waaaay less stuff to your house, and will instead be using your environment as a backdrop. This includes baby's nursery, common areas in the home, and possibly the master bedroom or a siblings room as well. We won't miss the details like your newborn's tiny little fingers and toes, but they will be framed differently than they would in a posed session. Baby might be in his/her crib, on a family heirloom quilt, or laying next to big brother while he reads a story. My posing of baby will be very minimal with this type of session. With a lifestyle session, it's less important that baby be within that 5-14 day time frame. I've shot lifestyle sessions for babies as old as 3 months, and these can often be great because you start getting real smiles, rather than the sleepy-and-pooping-smile you get with a very new newborn. Much like I mentioned above in the posed session explanation, my family shots almost always take on a lifestyle feel. We do family shots on the master bed, or elsewhere in the house if you'd prefer. While I do pose you initially, I'm looking for your family's love and connection. If there are older siblings, we do a few shots of just them with the baby. If you'd like images of just mom/just dad/just mom and dad with the baby, we do that as well. Regarding the below gallery, there are more images to come, I need to pull them off of the cloud, but I wanted to have this blog post up as soon as I could.